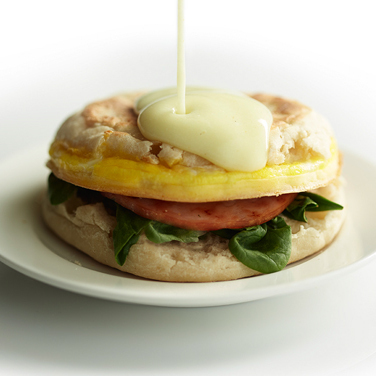 Place bottom half of 1 English muffin, split-side up in bottom ring of Breakfast Sandwich Maker. Top with 4 spinach leaves and 1 slice of Canadian bacon. Lower cooking plate and top ring. Add 1 egg to cooking plate. Serve with Easy Blender Hollandaise Sauce.